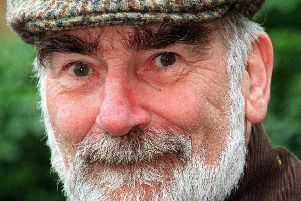 TRIBUTES have been paid to a prominent doctor, anthropologist and author who spent 20 years teaching medicine at Edinburgh University. Dr Una Maclean died earlier this month aged 87. She was hailed a devoted teacher and mother who encouraged those around her to achieve their best. Born in Applecross, Wester Ross, in July 1925, Dr Maclean travelled extensively throughout Scotland and overseas. The daughter of a Church of Scotland minister, she was educated at Dingwall Academy and went on to study medicine at the University of Edinburgh, graduating top of her class in 1949. Shortly afterwards, Dr Maclean married Dr Peter Cockshott and gave birth to her first child, Paul. Following a posting in 1952 to the Aden Protectorate – now part of Yemen – she gave birth to her daughter, Aysha, and began treating Muslim women in the harems of local merchants. Dr Maclean’s reformist and humanitarian tendencies emerged strongly after she moved to Ibadan in Nigeria, where she gave birth to another son, Tunde, and successfully convinced witch doctors to refer patients who could not be cured with traditional remedies to Western hospitals. It was in Ibadan that Dr Maclean met John P Mackintosh, her second husband and, later, a well-known Labour politician and author. After she returned to the Capital, Dr Maclean became immersed in the teaching profession. A teacher for more than 20 years at the University of Edinburgh’s department of community medicine, she went on to become a senior reader and acting head of department, and was later admitted as a fellow to the city’s Royal College of Physicians. She also had an active interest in politics, crying with joy when the Scottish Parliament opened in 1999. Dr Helen Zealley, a former Lothians director of public health and Dr Maclean’s neighbour for many years, said: “I remember one time that she talked to us about how communities in the Western Isles operated. She was talking about how the way they operated was very similar to many other parts of the world where the women got on with all the jobs that needed doing and the men just sat around and talked about putting things right. “It’s an anecdote that sums up her work. From it you can see that she was a strong feminist, that she was very observant of the little things in life, and that she was also a social reformer – in the widest sense of the word. “She was a good teacher. She would stimulate discussion in the group, which brought out a wide range of experiences from the people who were there. Dr Maclean is survived by her five children, two stepchildren and 14 grandchildren.